Looking for a snow removal service in Mishawaka and South Bend, IN? In South Bend, Indiana, along with the bitter cold of winter comes plenty of snow. Snow can cripple you and whole areas to where you can’t get out and function or go about your normal daily activities. Snow removal is just a natural part of winter in these cities where snow piles up so high that basic shoveling is nothing more than a futile task. In many cases the accumulation of snow requires heavy duty equipment that can remove larger amounts of snow at a faster rate. Snow blowing and plowing uses different types of equipment, depending on the situation and the job at hand. It can be used to help clear a homeowner’s drive, a business parking lot or major roads to clear them from driving and passage. There are multiple types of snow blowing equipment and using the right equipment for each job is important. It not only gets the job done in the most efficient manner, but it can help prevent injuries sustained by the use of the wrong equipment for the job, as well as it can help prevent damage to property by using the wrong piece of equipment. 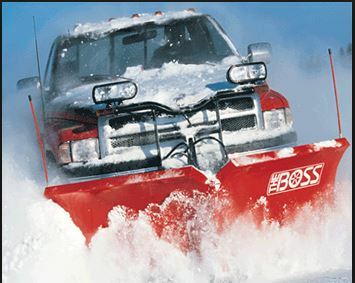 • V-Plow – The V-plow is used to make the initial breakthrough for hard packed snow, high drifts or even ice. The blade may be set for either a straight or angled position depending on whether the operator is clearing a general path or stacking the snow. It can also be used as snow removal equipment when put in a scoop position. • Straight Plow – A straight plow is used to clear a general path away from a building toward a perimeter setting. When using this piece of equipment, the general theory is to get the snow as far away from a building as possible, not angled toward it. • Box/Pushers/Containment Plows – These plows can be attached to other large equipment to push snow. It can be attached to a loader, backhoe, skid-steer loader or utility tractor. It is quick and efficient in pushing snow in larger volumes than other equipment and does not require multiple passes to get a clear path. There are multiple types of services you can request when it comes to snow plowing. Depending on what your needs are, the most common types of services requested include; snow plowing, snow shoveling, snow removal, sidewalk shovel and snow removal, snow blowing, salting and the use of different snow plowing and removal equipment. The type of service you need may depend on the type of location you are. How big or small of an area needs to be blown or shoveled, and if the snow needs to be hauled away or not. Your snow covered area may only require the need of a shovel and manpower, or if it is a large parking lot, the job will require the use of large snow shoveling and removal equipment. Snow shoveling and snow removal pricing depends on the job and what type of contract you have.Most snow blowing companies offer different ways that snow shoveling prices can be calculated, and many businesses prefer to set up a contract with a snow blowing and removal company ahead of the winter weather so that they are prepared to have their snow problems taken care of without the hassles of finding someone last minute. • Seasonal contract – This pricing format is tailored to what your needs will be for the winter season. The price will include taking care of your snow blowing, snow removal, salting and winter maintenance needs all winter long. 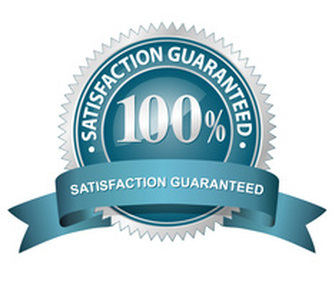 • Per job contract – This contract bills you only for the services provided per time, or job completed. If you only needed sidewalks salted or shoveled once, you will only be billed for the one time visit and jobs performed. • Hourly rate contract – If you want to be billed using an hourly rate system, you will be billed at the set hourly rate for use of time and equipment used to perform the job. Your snow blowing company can help you determine which equipment will be needed to clear your property or area free of ice or snow and give you the hourly rate to do so. The best way to get familiar with snow blowing services and prepare for the winter months, is to prepare ahead of time. At Mishawaka Snow Plow, we can help you determine what services will be the best to maintain and service your property and business during the winter. Contact Mishawaka Snow Plow and ask for an evaluation of your property, get a quote and have a plan or a contract drawn up with us prior to the winter season hitting. This will give you peace of mind to know that your property and environment will be kept safe and accessible all winter long.